Affordable pre-shrunk 100% cotton Unisex TShirt, printed on front only. 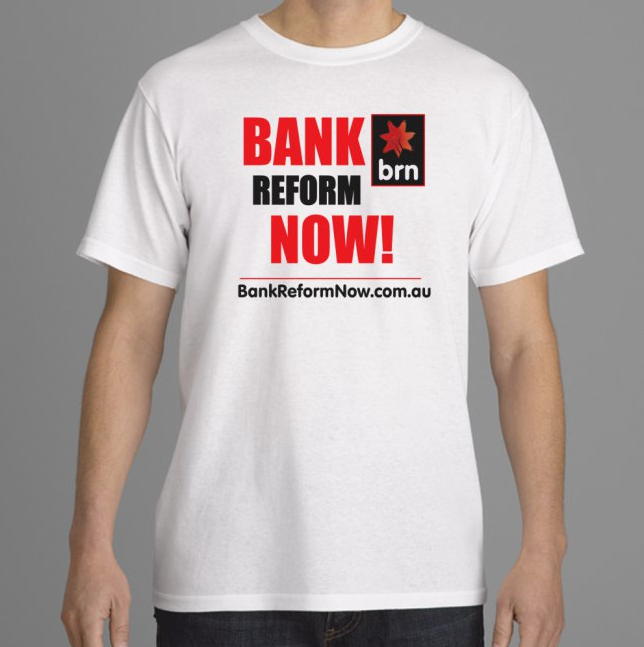 Wear your Bank Reform Now T-Shirt to raise awareness, let your voice be known, as a conversation starter and for media / bank meetings, rallies, public meetings and demonstrations (court appearances!). You never know if the person standing next to you is a bank victim needing support or somebody that just needs more information about why the banking system is corrupt. Spread the word, tell them your story and point them to this website where they can read others' stories about what their banks did to them and how it has affected their lives. You can join in and act locally! 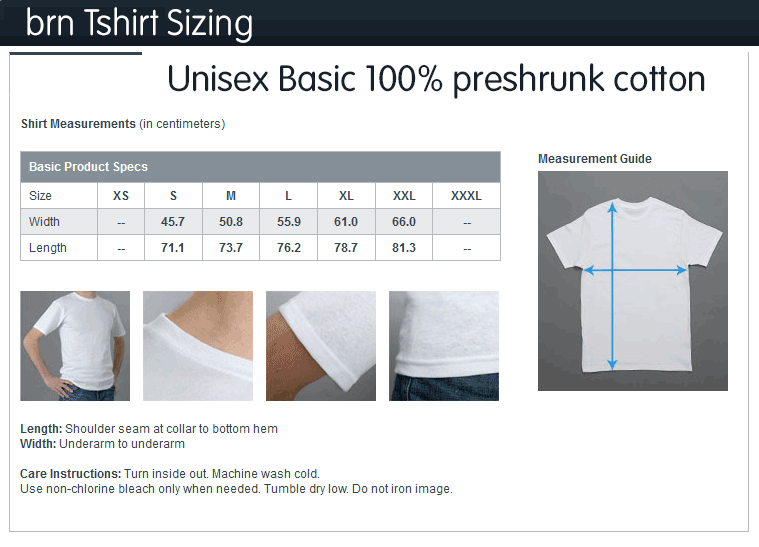 Click on the sizing chart to view a larger image. PayPal is the preferred payment method - quick and easy, you do not need to have a PayPal account, but can pay with your Credit Card. NOTE: The current white TShirt is printed on only the front and is a lower price because of this and the plain colour (white), if you want the bold slogan on the back - we recommend the black tshirt. "I am afraid the ordinary citizen will not like to be told that the banks can and do create money. And they who control the credit of the nation direct the policy of Governments and hold in the hollow of their hand the destiny of the people."